Home/Blogs/Is a Gluten-Free Diet a Good Choice? On a trip to the grocery store, you may have seen foods labeled “gluten-free.” These products help people with celiac disease get the nutrients they need. A recent study found more and more people are choosing to eat these foods, even if they may not need to do so. People with celiac disease can’t digest foods that have gluten. Gluten is a protein found in certain grains—namely, wheat, barley, and rye. Some common foods that contain gluten are breads, pastas, baked goods, and crackers. Celiac disease isn’t all that common. To see how many, the researchers looked at a yearly national health survey. The survey asks a random pool of adults about their health and their eating habits. From 2009 to 2014, the number of adults who had celiac disease remained relatively the same. But people eating gluten-free foods tripled. Why might that be? The researchers suspect some people may believe in error that a gluten-free diet is healthier. Or that it may help them better lose weight. The widespread availability of such foods in stores may also play a part. Another possible reason: These people may be avoiding gluten because it seems to help with some other digestion problem. If you have celiac disease, eating gluten can make you sick. It slowly damages your small intestine. It specifically destroys the villa that line the sides of the small intestine. These tiny structures help your body absorb nutrients from food. Without them, you may suffer from poor nutrition. Celiac disease can cause digestive symptoms, such as bloating, diarrhea, constipation, stomach pain, and nausea or vomiting. But that’s not all. Adults with celiac disease may have less obvious symptoms. These include joint pain, headaches, fatigue, weakening of bones, and tingling in the hands and feet. Some people may have no symptoms at all. But the disease can still harm the body over time. 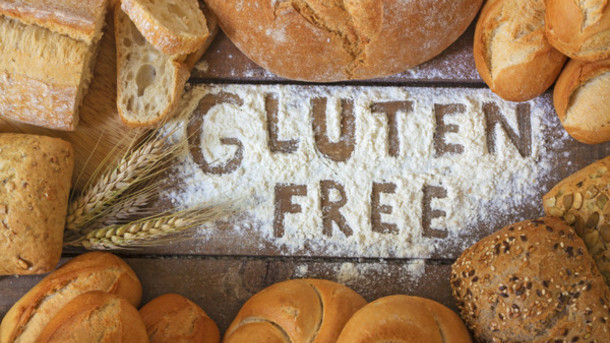 A gluten-free diet can ease the symptoms of celiac disease. It can heal the small intestine, too. It can also help the body get the nutrients it needs, such as vitamin D for healthy bones. But if you think you or a loved one may have celiac disease, talk with your healthcare provider before cutting out gluten. Doing so first may delay a proper diagnosis. Could you simply be sensitive to gluten? Some people may have trouble eating foods with gluten. But they don’t have celiac disease. They may have a different condition called non-celiac gluten sensitivity. After eating foods with gluten, people with this sensitivity often have symptoms like those with celiac disease. But testing and other diagnostic tools rule celiac disease out. Non-celiac gluten sensitivity is gaining more attention. But experts still don’t know much about it. They do know that unlike celiac disease it doesn’t seem to cause long-term damage to the body.